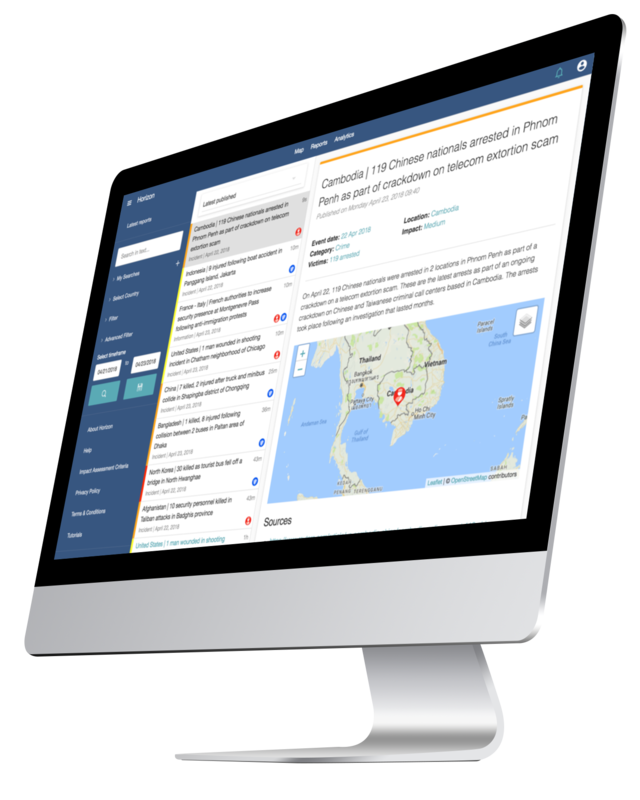 Hozint - Horizon Intelligence is a threat intelligence solution provider based in Brussels, Belgium. Our mission is to provide our clients with timely and relevant information to mitigate their exposure to safety and security risks. 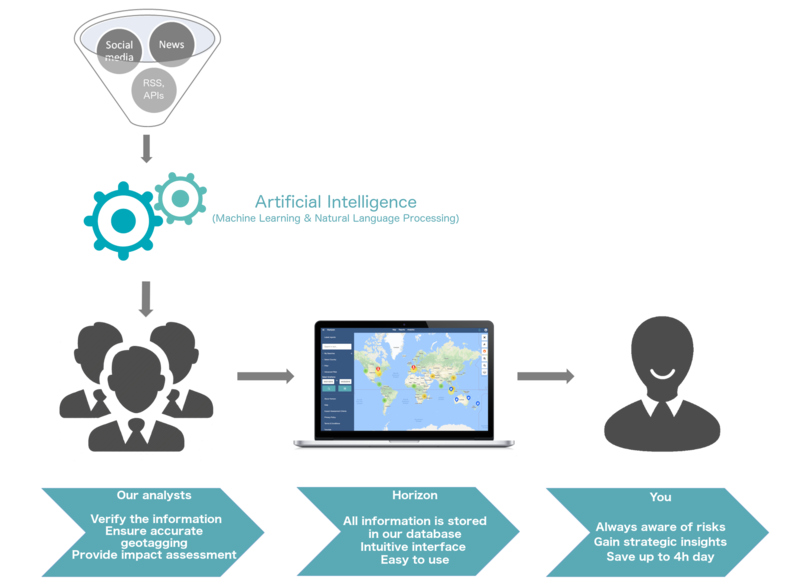 Our solution is a web platform “Horizon” that combines artificial and human intelligence to monitor media and social media and to provide accurate geotagging and impact assessment.